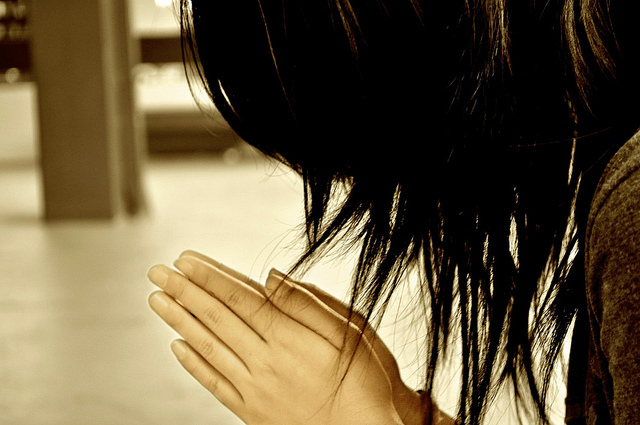 You can learn a lot about a person by the kind of prayer he prays. For instance, a selfish prayer indicates a selfish spirit. Have you ever heard a prayer that sounds like a Christmas list – I want this, and I want that? Some people try to impress you with their prayers, yet they come off as arrogant and prideful. For leaders, there’s a model prayer in the first chapter of the book of Nehemiah. Remember Nehemiah? When he first heard about the downfall of Jerusalem, he prayed for four months. This was not just a casual prayer. It gives us a pattern for successful praying. If you want to know how to pray, you should study the book of Nehemiah – particularly this prayer. 1. You’re great – that’s God’s position. 2. You’re awesome – that shows his power. 3. You keep your promises – God’s covenant. The first thing Nehemiah did was to acknowledge who God is. That’s what praise is. Acknowledge who God is and his greatness. He starts off by getting the right perspective. In starting to have answered prayer, say, “God, I want you to answer because of who you are. You’ve given us all of these things, these promises. You are a faithful God, a loving God, a merciful God” – all these things the Bible tells us he is. You base your request on God’s character. 2. Confess the sin in my life. There is personal confession and there is national confession. This is something we don’t know anything about. We don’t have a corporate sense in America today. We are very individualistic. We’re taught to confess my sins. When was the last time you confessed the sins of the nation? Or the sins of your family? Or your church? Or your friends? Our society has taught us we’re only responsible for ourselves. And that’s just not true! You are your brother’s keeper. We are all in this together. Leaders accept the blame but losers pass the buck. If you want to be a leader, you accept the blame, and share the credit. Losers are always accusers and excusers. They’re always making excuses why things didn’t or couldn’t happen. It’s always somebody else’s fault. Leaders accept the blame. Nehemiah is praying to the Lord and saying, “I want you to remember what you told your servant Moses.” Can you imagine saying, “remember” to God? He’s reminding God what he had said in the past. God, you warned us through Moses that if we were unfaithful we would loose the land of Israel. But you also promised that if we repent, you’d give it back to us. All through the Bible you find God’s people reminding God about what he said he wants to do. David did it. Abraham did it. Moses did it. All the prophets did it. “God, I want to remind you of one of Your promises …” Then they’d share it. Does God have to be reminded? Does he forget what he’s promised? So you have to be very careful about making them. The Bible says we’re imperfect fathers, and if we imperfect fathers know that we need to fulfill our promises to our kids, how much more does a perfect Father, a heavenly Father, intend to keep the promises he’s made in his Word. 4. Be very specific in what I ask for. Nehemiah is not hesitant to pray for success. He’s very bold in his praying. Have you ever prayed, “Lord, make me successful!” If you haven’t, why haven’t you? What is the alternative? A failure? There is nothing wrong with praying for success if what you’re doing is ultimately for the glory of God. Pray boldly. Pray that God will make you successful in life for the glory of God. That’s what Nehemiah did. This is a valid prayer. Give me success! If you can’t ask God to make you a success at what you’re doing, you should be doing something else. God doesn’t want you to waste your life.